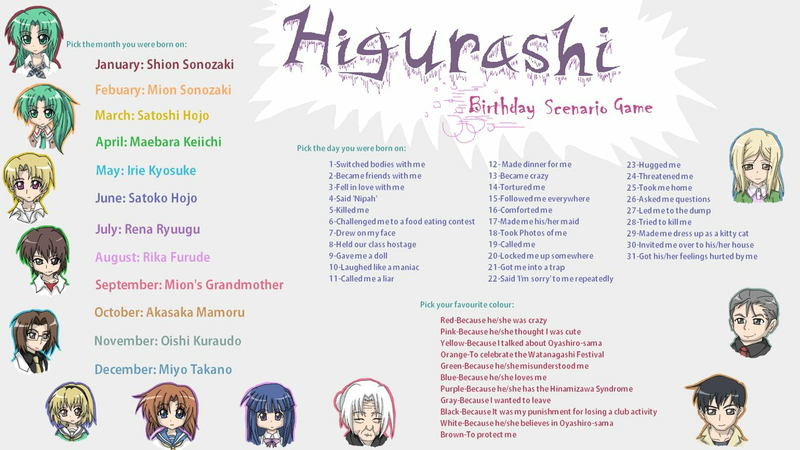 Higurashi birthday scenario game ^_^. . HD Wallpaper and background images in the Higurashi no Naku Koro ni club tagged: higurashi no naku koro ni. I have two favorite colors, purple and green. So those two would be. 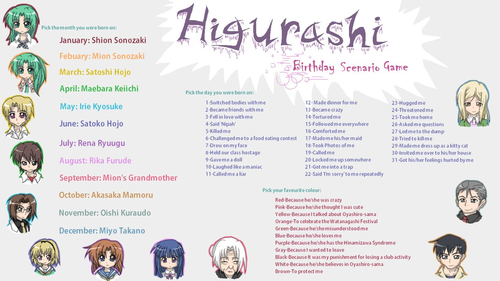 Rika Furude took me home, because she misunderstood me.